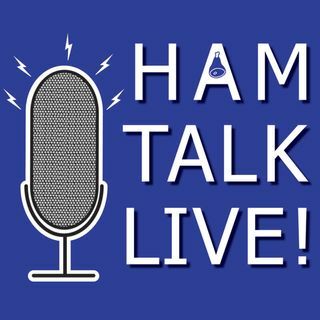 Episode 153 - Ham Radio Dating Stories | Ham Talk Live! Since this week's episode lands on Valentine's Day, we have a special show planned! It's OPEN LINES... and we want to hear your ham radio dating stories!!! It can be good or bad.... but let's hear them! Be sure to CALL in with your ham radio dating stories by calling 812-NET-HAM-1 live during the call-in segment of the show. You can also tweet us before or during the show to @HamTalkLive. Great show! Enjoyed the stories. Does he let passengers come aboard? My best girl is my HF transceiver and we're gonna make contacts in the bed so I guess thats a way to fill in for Valentines Day! Just wait...you'll understand it more in the near future. Congrats Again! True love is having a wife who understands that you need to operate at the school on Valentine's Day during SCR every year! :joy: It doesn't hurt that my father-in-law operates as well. I'm ready to listen for any love on the ionosphere!